Not long after Han Hyo-joo announced her next project, she’s changed her mind and dropped out of Chuno [추노], the Joseon-era fusion sageuk with Jang Hyuk and Oh Ji-ho (who are staying with the production). In Chuno, Han was to have played a daughter to servants who falls into a love triangle with the two leading men. This coincides with Han Hyo-joo’s recent decision to part ways with her management company and go a different way on her own. Apparently the disagreement over Chuno arose from this, as well as conflicts regarding salary. The production team (led by the director of Conspiracy in the Court and the screenwriter of Level 7 Civil Servant) are currently in search of a new actress to fill her spot. Han Hyo-joo has had a successful record of leading drama series, enough to be called something of a hitmaker (she followed her popular Iljimae role with the recent smash hit series Brilliant Legacy), so no doubt she’ll land on her feet. It has been hinted that she is in talks to join a different drama “starring a pretty-boy actor” — somehow, You’re Beautiful with Jang Geun-seok springs to mind — and will announce her next role shortly. that would be perfect!!! in the new drama!! ehmm hmmmm. i wonder why my first reaction to thinking of han hyojoo and jang geunsuk together is "no...... do not want......"
i found her character a bit flat in brilliant legacy. almost.. too perfect..? now that i think about it, she was my least favorite on nonstop 5 haha. edit: oh! and how could i forget, spring waltz. umm, don't remember her at all in that drama. i hope her new role is a bit more exciting and dynamic! why u be anti..r HAN HYO JOO ONNIE HAVE FALSE TO U ?? han hyo joo onnie so low profile n so naturel.. u so ...!!! Im guessing most likely the role was chosen by the company rather than her so a dispute emerged. I think her company has been choosing her roles ever since she debuted, so that she would set up her current image of being innocent and fresh. I absolutely love Han Hyo Joo (how can you not?!) and really hope things for her go smoothly. I don't know what to think about her taking You Are Beautiful.. Not really a fan of Jang Geun Seuk, though. And I would also like to see her take on a more exciting role. Also, I assumed that the drama with a pretty boy actor was Heaven's Postman, but I guess not. Glad she dropped out of this drama, can't picture her with Jang Hyuk and Oh Ji Ho - they're too old for her. I like her, I don't absolutely need to see everything she has been in. I'm sure she's not happy with her agency, but so far they have chosen successful dramas for her. I don't like her in Chuno, she does seem too young for the leads, and her roles so far in her acting career have been been very one-dimensional for me (not her acting, her roles - though her acting has also suffered if there is no breakout role to test oneself). I think she and Jang Geun Seuk may just be a great pairing, JGS has shown to be a consummate (albeit uneven) actor with great potential, maybe he'll spark with HHJ, and You're Beautiful will become more than the average idol drama. id love her to be with jang geun seok!!! much for her talent except flipping her hair - a distraction. I do agree that she's somewhat of an "ordinary" actress. It's kind of boring see her take the same roles over and over again. Theres not variety in any of her characters. It's always the same sweet, angelic character... But she has improved tremendously since Iljimae, spring waltz, etc. Plus, how could you dislike like a face like that. She should rest a bit before starting a new project. It looks like Brilliant Legacy really drained all her engery. I do like her (I think the fact that she's SO pretty really helps XD), but I agree with what people have said about her roles being one-dimensional. I haven't disliked her characters, but I haven't been able to really get behind them, either. That goes for her Eunsung in "Brilliant Legacy", Jisoo in "High as the Sky, Wide as the Earth", and so on. They've always been perfect, angelic characters that had very little heart, which is probably why I can't identify with her. At most, I'm rather apathetic towards her characters. I'd like to see her in a different role, with more character immersion for once. You can tell she has the potential to be a good actress, but we'd only see that if she gets a meatier role (a character with more inner conflict, maybe), and if she throws herself into the role with intensity, something which I've never seen her do. I've only seen her in Ilijimae and Brilliant Legacy (yes I know, how could I not watch one of the seasonal drama.. lol) and I like her. It wouldn't be bad to see her in a different role. There are too many kind, innocent, caring characters these days that I want to see a spunky girl.. like someone who is tough and a bit minipulative maybe but not so much that we hate her lol. Oh, maybe the pretty boy drama will be the one with Changmin in it since it was recently announced & they don't have the rest of the cast yet. I don't really have a strong opinion of her. From what I have seen in her from Brilliant Legacy, Spring Waltz, and a little bit of You are My Destiny, she isn't really an actress where I am left with a strong impression/opinion of. She has the good look, alright acting skills, but somehow they don't strike me as something I remember. I will give an example. MGY from Painter of the Wind, even though this is a genre not for everyone, left me with a strong impression of how talented an actress she is. Anyway, I wouldn't mind watching another drama she acts in. Meh...it's her loss to give up working with such an amazing director. I agree with others' comments about her one-dimensional characters. She would earn more acting cred if she took roles that strayed outside of the kind-hearted and sweet box. She seems nice enough but truthfully, her acting isn't impressive. I'm not sure if she's a great actor but she's really really really pretty. She was alright in Shining inheritance though..
i love hhj very2 much. she's a good actress but yeah, just in one dimensional. that is, innocent and kind person. but really, she is very good if she got that role. anyway, its a good thing she dropped chuno. dont think there'll be much chemistry btween the them, coz JH and OJH are too old for her age. I didn't like her in Ilijimae but that was more because of the character. I thought she was quite cute in Shining Inheritance though. Lee Da Hae took the role in Chuno apparently. better choice. not really because HHJ is a bad actress or anything, just think she's too young for the role. Oh yay, Lee Da Hae. I like her very very much, acting-talent wise she's also somewhat uneven, but the transition from Green Rose to My Girl (especially if you watch one right after the other), is brilliantly multi-faceted. I'm waiting for a good Sageuk, and so far Queen Seon Duk is not doing it for me. Chuno should be very interesting now, LDH has the star power to carry her own, and maybe even outshine, the 2 male leads. I might be in the minority here about Brilliant Legacy, but I really just didn't get all the hype surrounding it. Bae Soo Bin + Lee Seung Gi eye candy aside, Han Hyo-joo just really didn't do much for me. I pretty much agree with some of the comments about her being a one-dimensional actress. She's very pretty and all, but she doesn't emote well, her crying scenes are painful, and she has this deer in headlights, confused look throughout almost every emotional scene. @ ockoala: Agreed. Lee Dae Hae is a great actress and not just another pretty face. 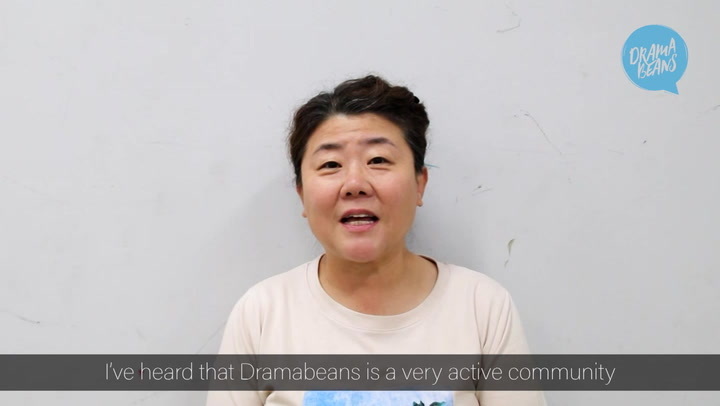 I'd luv to see her in a sageuk. Oh Ji Ho in a sageuk? I wonder if he'll look with his hair brushed back. This drama ought to be interesting. Chuno Episode 8 is ready. han hyo joo is natural..pretty..low profile..and i thinks she's perfect..